On December 14th, 70 Compeer friends and volunteers gathered together to enjoy a delicious meal at our annual Compeer Holiday Party. 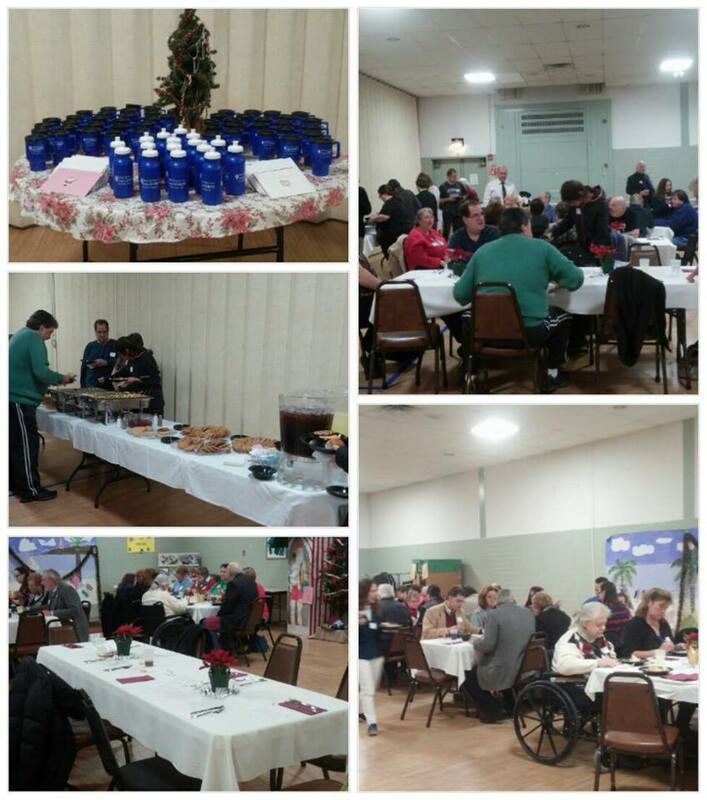 The tables were decorated with festive poinsettias and candy, and everyone received a Compeer travel mug or water bottle as a little Christmas gift. 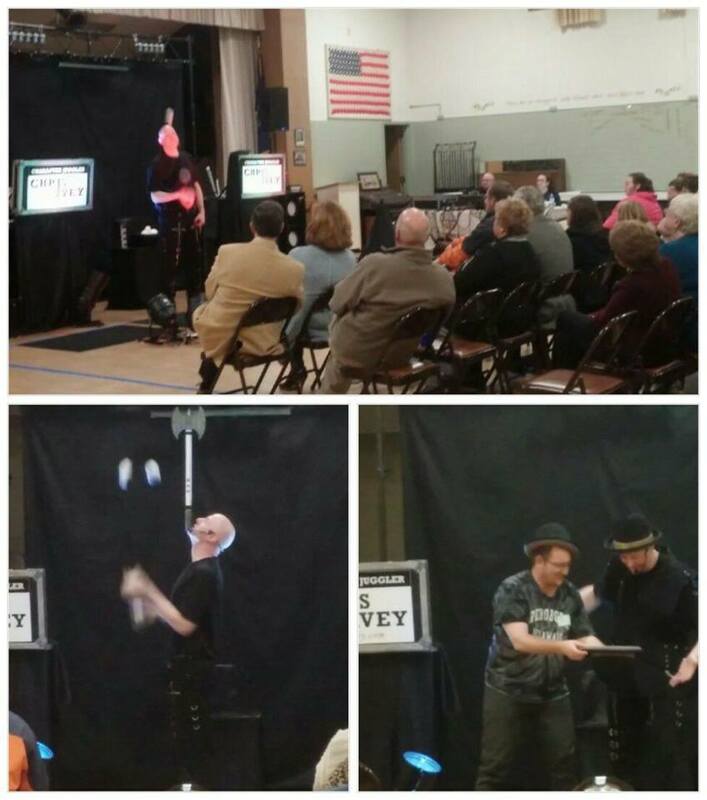 For a bonus treat, this year Compeer brought in character juggler Chris Ivey to entertain our guests. Mr. Ivey mixed a little stand-up comedy into his juggling act and included several of our guests into the show – increasing the laughs. 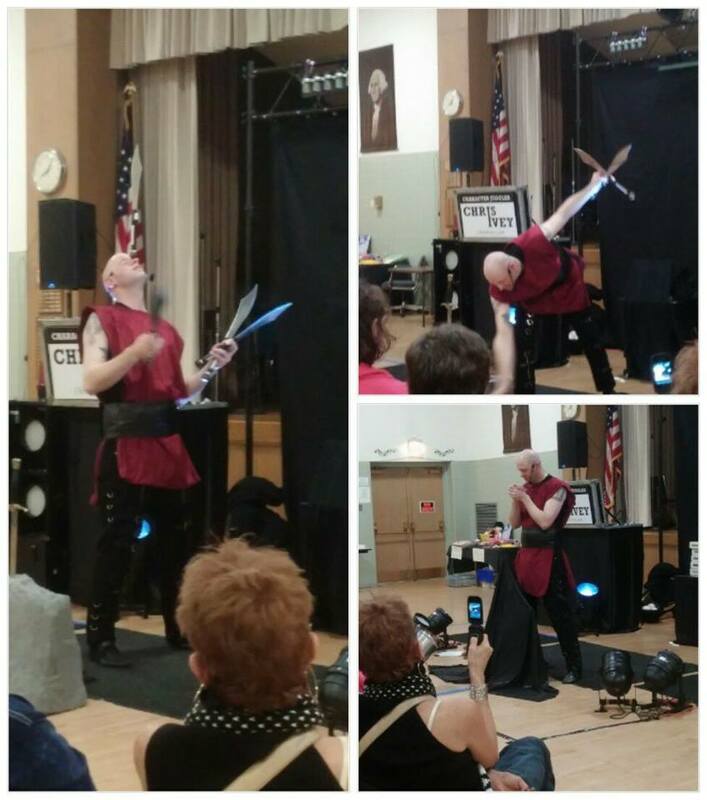 There were many moments when guests were caught by surprise, when Mr. Ivey juggled knives, balanced an axe on his forehead while juggling, and kept many items flying through the air while balancing other objects. Compeer would like to thank our supporters who helped make this wonderful holiday experience a reality for our clients and their volunteer friends: WellSpan Foundation; The United Way of Lebanon County; The Visiting Nurses Association; Brentwood Industries; PA LINK to Aging and Disability Resources; and The County of Lebanon (MH/ID/EI).